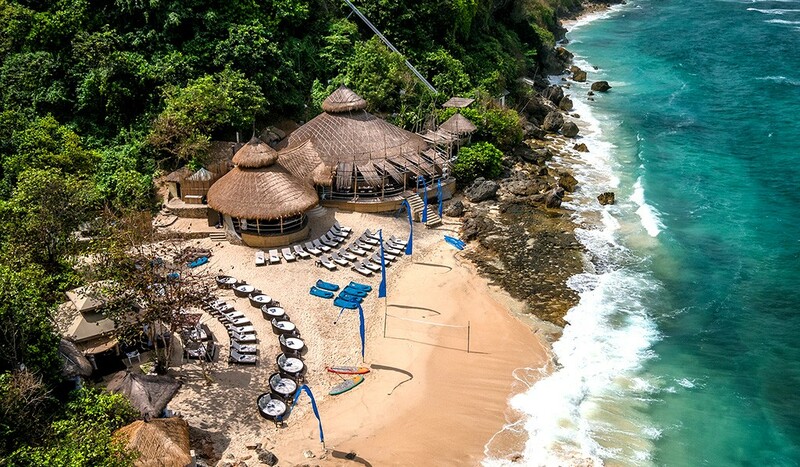 You won’t believe these 10 restaurants exist in Bali! 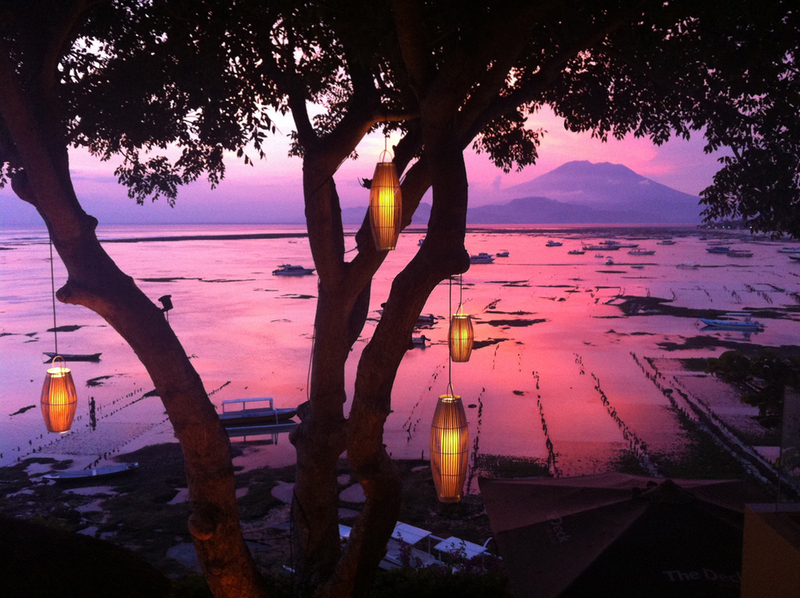 HomeArticleRestaurants You won’t believe these 10 restaurants exist in Bali! You don’t have to travel out of the country to enjoy out of the world scenic views. These restaurants will make you feel as if you’re in another world! You can’t miss out on these! Being stuck in the middle of the mountains surrounded by tree isn’t so bad after all. Especially when you are stuck in The Restaurant located in The Hanging Gardens hotel. This is a must visit whenever you are in the island. Photo Credit: Finn’s Beach Club. This one is quite literally out of this world. You literally need to take a tram downhill in order to go to this stunning restaurant. Even the tram ride itself is an experience, just check out the view! Photo credits: The Wandering Photographer. Sitting on sun beds on the beach with the ocean breeze flowing through your hair seems like a perfect relaxation getaway. 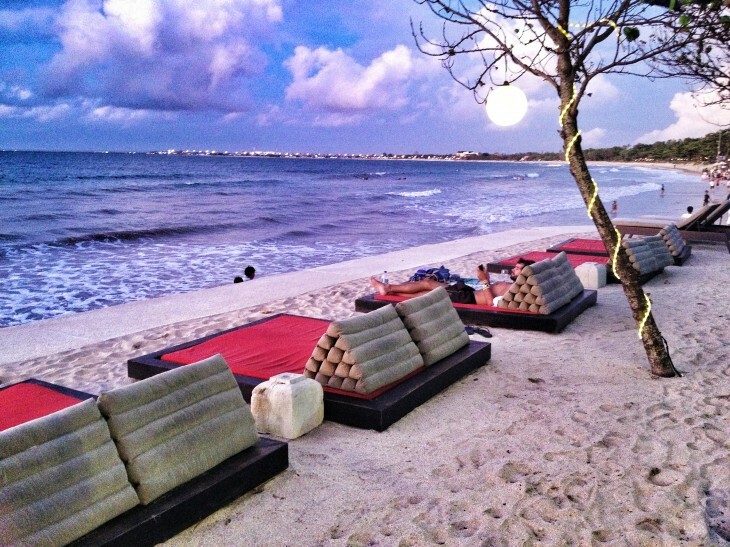 Jimbaran Beach Club offers you a very chill vibe right by the beach. Again, this place is out of this world and you need to take a tram downhill. 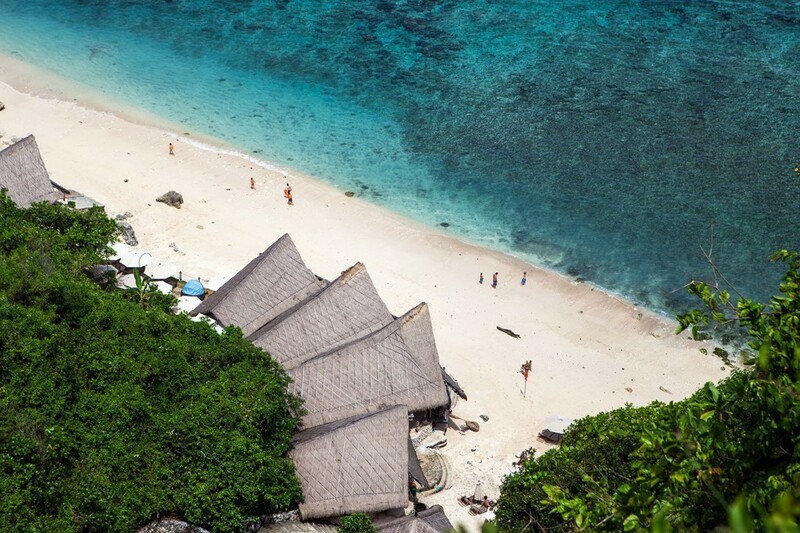 Karma beach is literally in the middle of nowhere surrounded by trees, white sand, and beautiful turquoise waters. 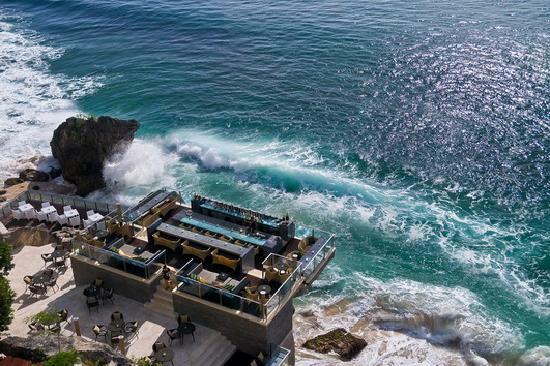 El Kabron is located just by the cliffs, giving you stunning views of the Bali ocean while taking a dip in it’s gorgeous plunge pool. Other than the fact that the place is stunning, the food is just absolutely amazing! The Paella is a must try whenever you have the chance to visit. 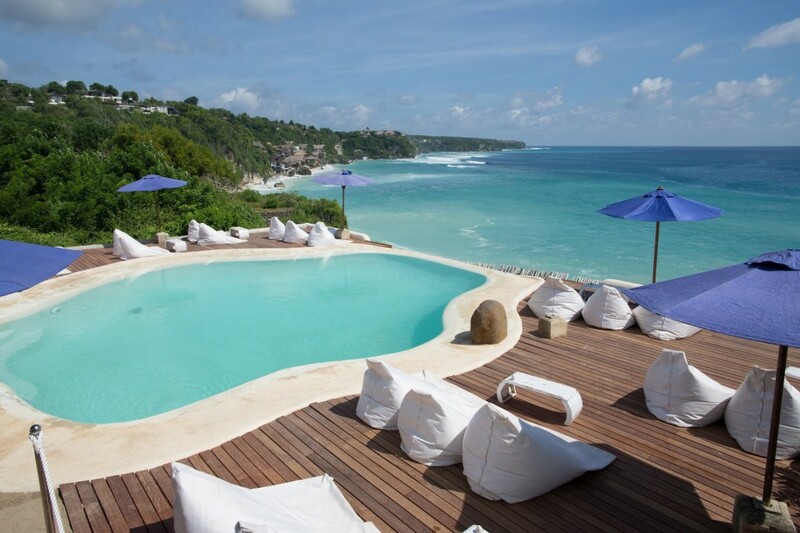 Lembongan lies in a 45 minute boat ride from Sanur. The Deck Cafe really shows the true beauty of the untouched side of Bali, far away from the hustle and bustle and tourists. The views consisting sunsets, mountains, traditional shipping boats, and seaweed farmers will really make your dinner an unforgettable experience. One of the most famous places to visit in Bali. The name does not lie, the bar does lie on top of a rocky cliff. 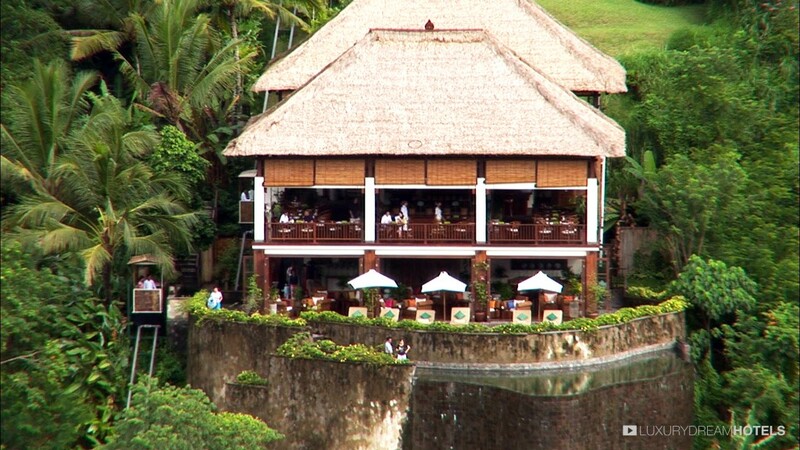 The restaurant preserves the natural beauty of the cliffs, you will feel as if you’re in another world when you’re in this bar! Metis lies in the middle of the beautiful padi fields of Bali. Surrounded by beautiful scenery and gorgeous food, this restaurant will really give you a romantic experience like no other. The post You won’t believe these 10 restaurants exist in Bali! appeared first on Qraved Journal.